We had a great Pinterest Party last night. 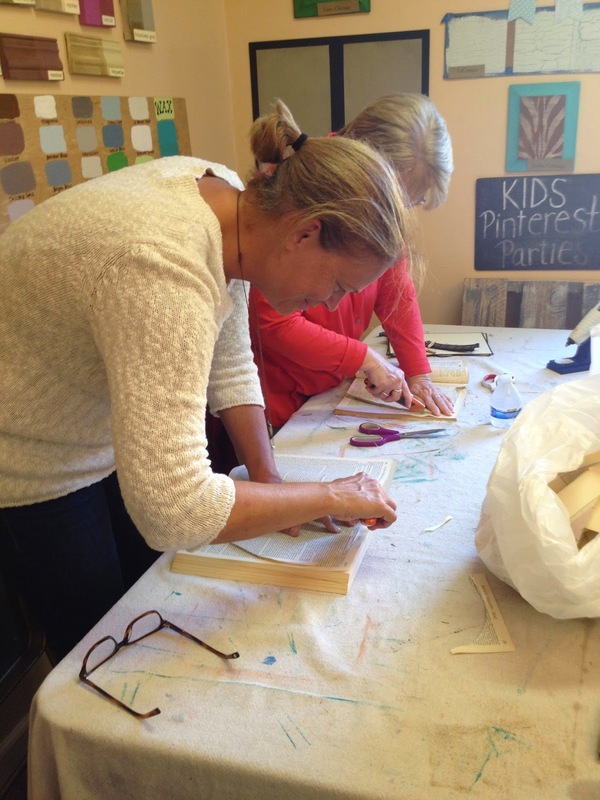 These self proclaimed, non-crafters, sure rocked it out! This great group used different books to create pumpkins for their home. Burlap leaves and vines completed the look. They really were crafty, they just needed a bit of guidance from our Kathy! Our October Pinterest Party schedule will be out this week! 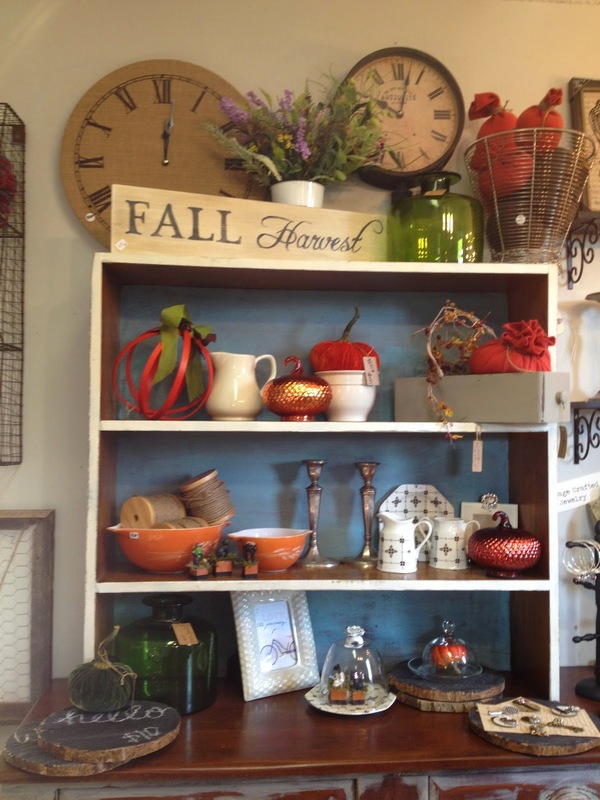 In the meantime, there is lots of Fall throughout the shoppe.